World’s First and sole All In One cable solution to connect HDMI sources to RGB or Component displays ! HDfury devotion to help granting new possibilities with your existing analog display has inspired us to create a fresh new edition accessible to the rest of us! The global phenomenon that is HDfury is now available in a brand new shape: The Gamer2 that comes in either Component(YPrBr) or VGA(RGBHV) Edition ! World’s First and Only One PLUG and PLAY solution ! 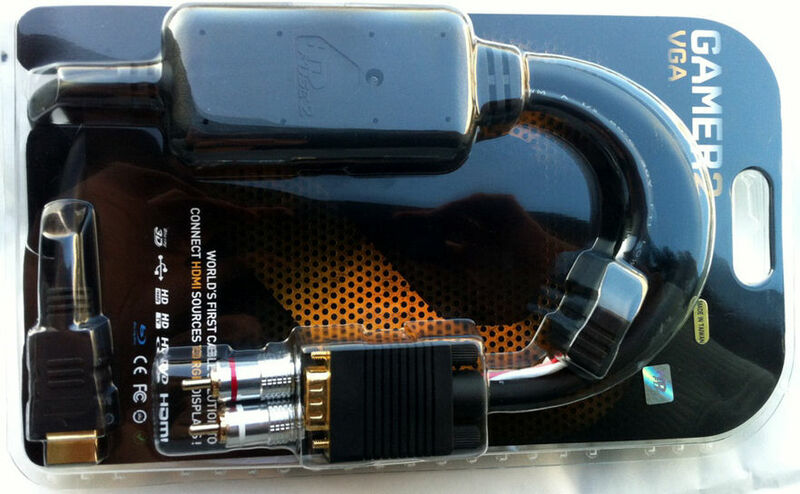 HDMI straigh to VGA or component including sound output! All in One Cable! Based on HDfury2 technology, Sound output and PSU connector available! 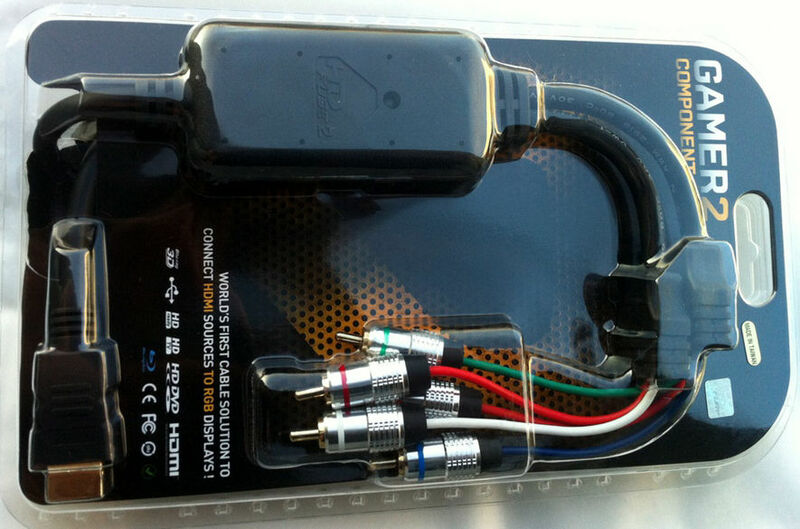 Affordable pricing to compete with the cost of Components cable + VGA box commonly used by gamers till now to connect their PS3 or Xbox360 Elite to an analog display. A power supply can be added to the HDfury Gamer2 Edition. The HDfury Gamer2 Edition can therefore be used with any HDMI sources (previous Gamer edition was limited to PS3 / Xbox360 Elite). If you are looking for ultimate quality and compatibility watch the brand new 2010 HDfury3 or 2012 HDfury4 !